Description: Architect and Poet Salim Ahmed Salim lives in Nizamuddin, India, along with his widowed mother. He re-locates to Lucknow where he is employed with Shirazi & Company. This is where he meets his attractive neighbor, Salma Khan, and both fall in love much to the chagrin of her widower dad, Hamid, who had promised her mother that he will get her married to a wealthy man named Anwar. He instructs her not to leave the house, and when she persists, he sells the house and decides to re-locate to Lahore, Pakistan. Salim attempts to stop them but Hamid assaults him and leaves him senseless. Salim does recover but takes to alcohol and a Courtesan named Phoolrani in a big way. His mother intervenes, and compels him to get married to their new neighbor's daughter, Sahira, which he reluctantly does. 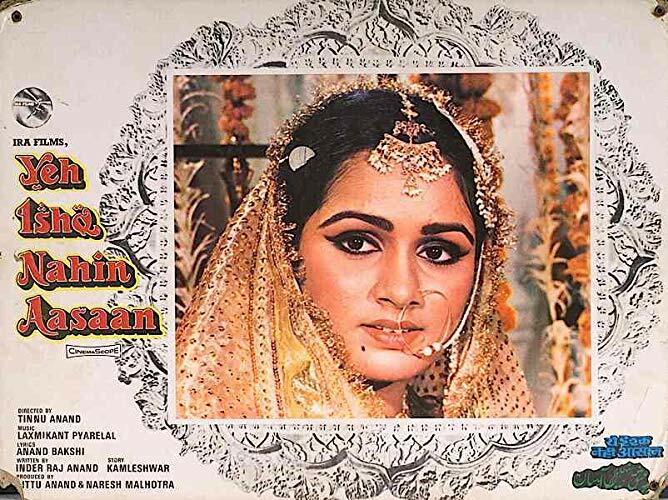 Now trapped in a marriage with a woman he does not love, Salim continues to frequent Phoolrani's brothel, with hopes of being re-united with his estranged sweetheart - only to find that the seemingly demure Sahira will not let go of him that easily.Architect and Poet Salim Ahmed Salim lives in Nizamuddin, India, along with his widowed mother. He re-locates to Lucknow where he is employed with Shirazi & Company. This is where he meets his attractive neighbor, Salma Khan, and both fall in love much to the chagrin of her widower dad, Hamid, who had promised her mother that he will get her married to a wealthy man named Anwar. He instructs her not to leave the house, and when she persists, he sells the house and decides to re-locate to Lahore, Pakistan. Salim attempts to stop them but Hamid assaults him and leaves him senseless. Salim does recover but takes to alcohol and a Courtesan named Phoolrani in a big way. His mother intervenes, and compels him to get married to their new neighbor's daughter, Sahira, which he reluctantly does. Now trapped in a marriage with a woman he does not love, Salim continues to frequent Phoolrani's brothel, with hopes of being re-united with his estranged sweetheart - only to find that the seemingly demure Sahira will not let go of him that easily.